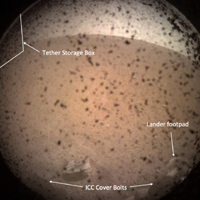 This is the first image taken by NASA's InSight lander on the surface of Mars. 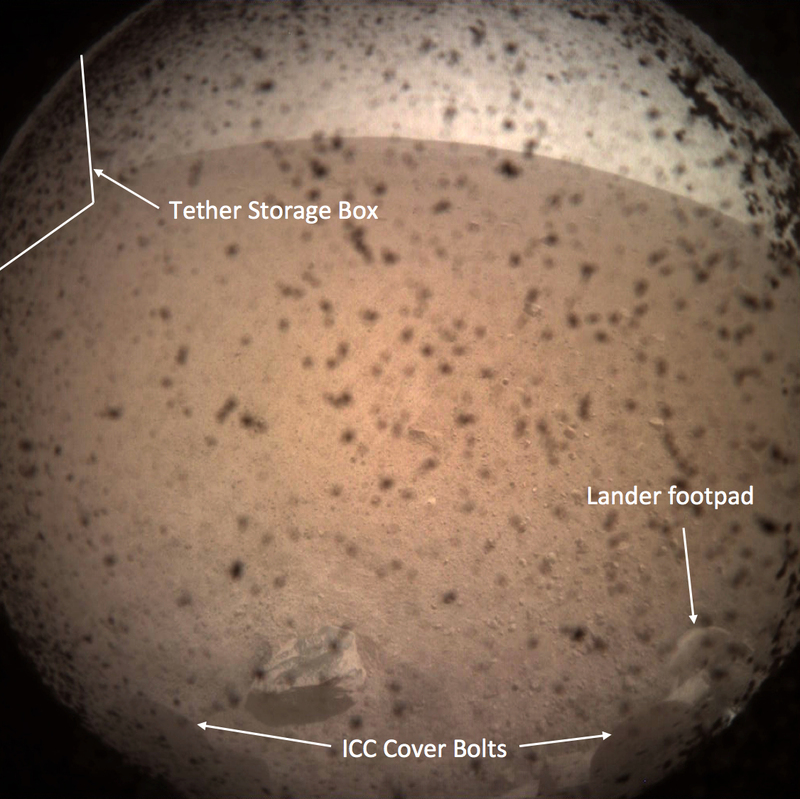 The instrument context camera (ICC) mounted below the lander deck obtained this image on Nov. 26, 2018, shortly after landing. The transparent lens cover was still in place to protect the lens from any dust kicked up during landing.